I enjoy live albums for a few reasons: they have more character than studio albums, I get a better idea of what a band is really capable of, and they often offer up the greatest hits from an artist’s catalog. But I also view live albums with skepticism because they are usually made up of tracks drawn from an entire tour (or tours) so that the artist can hide any warts that may show up. Also, they are usually over-produced to the point that many of these albums become more of a sound engineering exercise than a performance. This is what makes the Michael Packer Blues Band’s Live at the Turning Point a little more special. I cannot say for sure, but it sure sounds like this music was all taken from one evening. I had to search around a bit to figure out what the Turning Point is, and I believe it is the Turning Point Café in Piermont, New York. 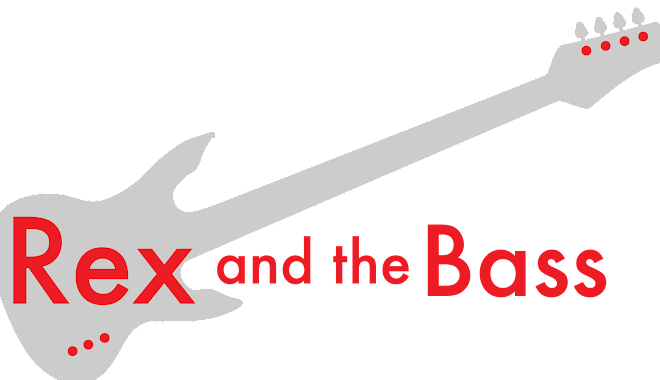 This is a great music club that is located a little north of The City, and has been host to many great performers, including Mr. Packer. p>Michael Packer is a singer, guitarist and songwriter who was born in New York City in 1950. His music career kicked off with a bang after his group “Papa Nebo” was signed to Atlantic Records in 1969 by none other than Ahmet Ertegun. After tasting success with his project “Free Beer”, he battled his inner demons, which resulted in: 1. Dropping out of the music business. 2. Ending up on the streets. 3. Doing a year in Riker’s Island for armed robbery. He has been clean and sober for almost two decades now, and is back into the blues. Talk about the blues – he should write a book about them. I’d buy it! Live at the Turning Point begins with an original song, “Mr. Packer”, and the tone is set for the rest of the album. Though he is from New York, Michael has a big chunk of Chicago blues in his heart and you can hear it in his growly voice and Rob Paparozzi’s sweet harmonica work. King Bear (great nickname, BTW) aggressively nails the bass line over Guy Powell’s drums. This is an uptempo number that shows that the Michael Packer Blues Band plays well together while having some seriously good times. After listening to this first track, it struck me that this album is surprisingly well-recorded. This is a small venue, and I would expect tons of extra noise coming through the microphones, both from the audience and everybody on stage. But, the instruments and vocals came through as clear as a bell, even Ed Jackson’s bongos. They must have used a metric ton of microphones, throttled the band way back on their volume, or processed the heck out of it after the fact. Or maybe they just got lucky. Regardless of their methods, it worked out well, and listening to this album is an enjoyable experience. My only gripe would be that four of the seven tracks are covers, but they are all great songs. Next up on the CD is a cover of “Can’t You See”, the 1973 Marshall Tucker Band hit that was written by the late Toy Caldwell. This track provides a temporary change in the band line-up, with David Maxwell on piano, Ed Snozzo on drums and the genius Felix Cabrera on harmonica. Felix has a great feel for the harmonica, and really classes up the joint wherever he plays. There is some really smooth guitar work on this song, and as it is not credited on the liner notes I figure it must be Michael Packer. It would have been nice to hear a little more back and forth between Cabrera and Packer on this one. Chuck Berry’s “No Money Down” is also on Live at the Turning Point, with Mr. Paparozzi back on the harp, and Michael on the piano. You can never go wrong with a Chuck Berry cover, and having Powell and King Bear building the foundation guarantees a solid blues jam. You can hear the joy and fun in Michael Packer’s voice, which keeps this track real and makes me want to catch their live show next time I am in the tri-state area. Blues legend Honeyboy Edwards makes a guest appearance on “61 Highway”, the Mississippi Fred McDowell tune. The song title refers to The Blues Highway which runs from New Orleans to Minnesota, and is probably a reference to Clarksdale, Mississippi at the junction of U.S. 61 and U.S. 49, where Robert Johnson sold his soul to the devil. Anyway, Edwards voice and guitar define the blues, and he does a bang-up job on this track which is, unfortunately, the shortest track on the album. The album finishes strongly with the fastest version of Howlin’ Wolf’s “Killing Floor” that I have ever heard. This nine minute track gives everybody a chance in the spotlight, and the opportunity to say goodbye before the album ends. By the way, I appreciate the shout-outs so I know who is playing which parts. 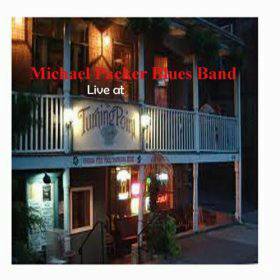 Live at the Turning Point is a fun album, and if you want a feel for who the Michael Packer Blues band is and what they are all about, giving this a listen is the best way to find out.